Based on the Elite EL STD, this flash-embedded dongle is a high-speed USB 2.0 device with write speeds exceeeding 10Mb/s and read speeds over 20Mb/s. The capacity of the flash drive is 16Gb, and memory chips are of high quality MLC or SLC. 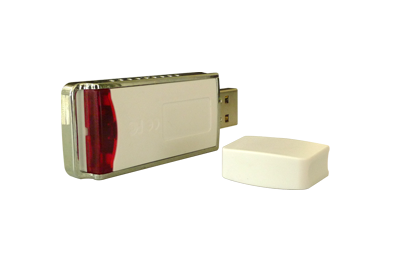 The Elite EL Drive is ideal for distributing top-end applications embedded on the dongle device. The embedded flash is high-speed USB 2.0 with the maximum write speeds over 10Mb/s and maximum read speeds over 20Mb/s. The capacity of the flash drive chip is 16Gb, and to ensure data storage securit, only flash drive memory chips of high quality, MLC or SLC,are used. Partioning is customizable to enable a variety of partition schemes (Security Partition, Public Partition, Hidden Partition, and CD-ROM). Partition sizes can be configured, and developers can choose the most feasible scheme to match requirements of the software products. The dongle and the Flash drive work independently from each other, without interference. Users may need to develop encryption functions respectively according to their requirements.